Plotinus (c. 204-270) is often accredited as the founder of Neo-Platonism. In an attempt to revive Platonic thought, this 3rd century philosopher and mystic wrote about issues such as virtue, happiness, reason, body, and soul, with Plato's philosophy as his guide. Like Plato, Plotinus had much disdain for material things and instead embraced the idea of a higher realm of immaterial intelligibility. Plotinus located the source of creation in a supreme ‘One’. Plotinus believed this "One" transcended being, non-being, multiplicity and division. The Enneads were compiled by Plotinus' student, Porphyry, who gathered together his teacher's essays and arranged and edited them himself. These writings had a significant impact on the religious metaphysicians and mystics from the ancient world. 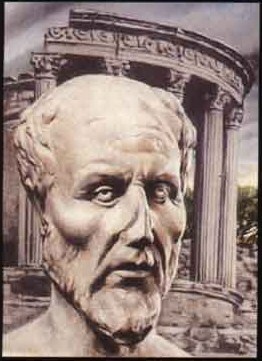 Plotinus has also influenced many thinkers of Islam, Indian Monism, and the Eastern Orthodox Church.